When: Thu., April 18, 7 p.m., Fri., April 19, 7 p.m. and Sat., April 20, 2 p.m.
All things are possible with a little make-believe and your imaginary friend. 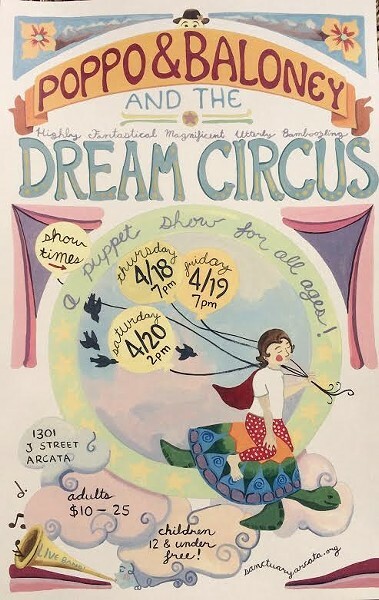 Experience Poppo and Baloney’s struggles and triumphs as they imagine for themself a journey to the Highly Fantastical Magnificent Utterly Bamboozling Dream Circus!! Experience a multidimensional theater piece with puppets, dancers, and live musicians.